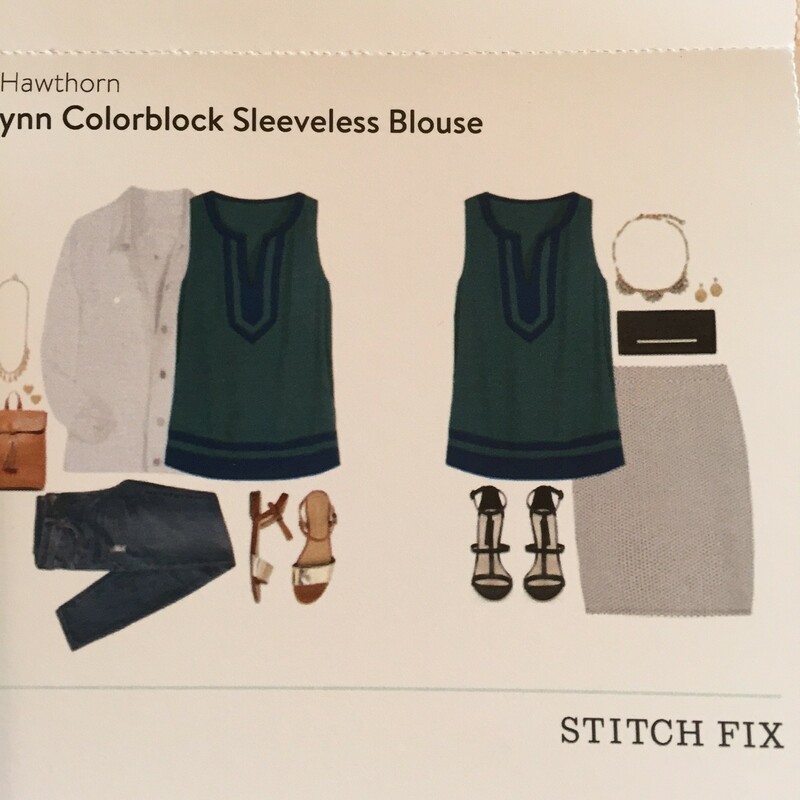 Stitch Fix #6 happily showed up on my doorstep last week. 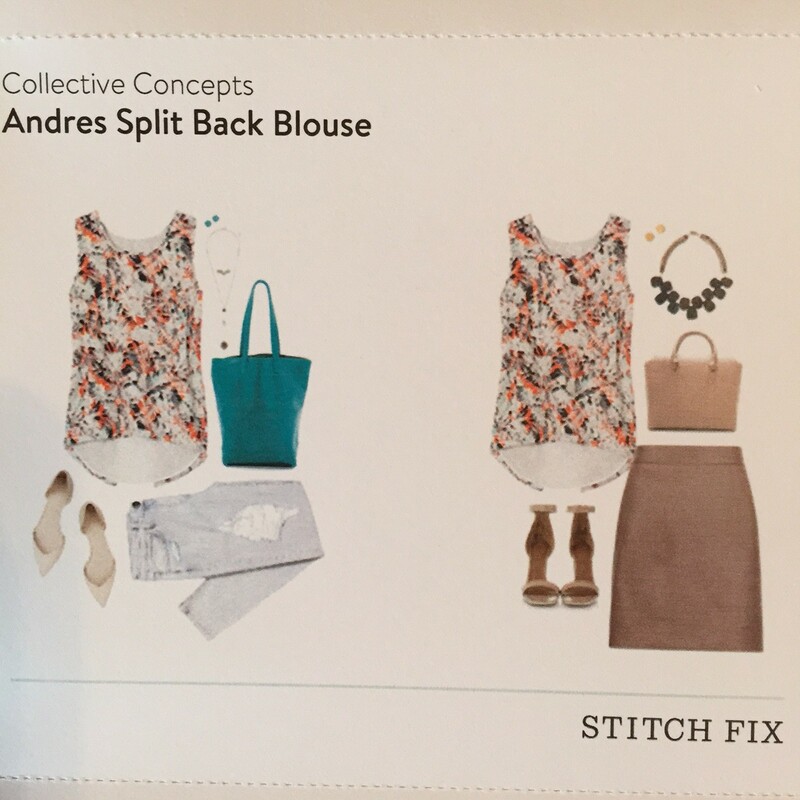 My initial thought about this Fix was that if this dress fit, it would be the deciding point on whether I kept most or all of the items. The fit was perfect. 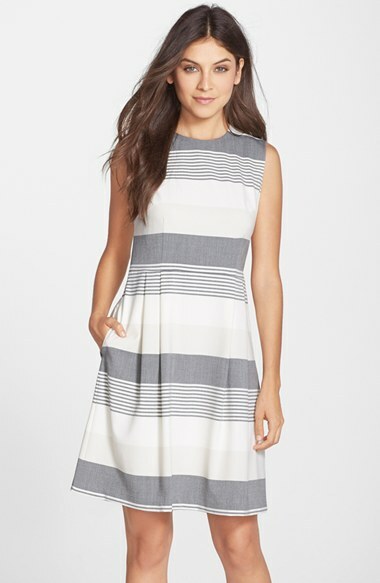 I loved the dress, and it would be a great addition to my work rotation. I really liked this, too. The style was totally me and the fit was good. This felt like a keeper. 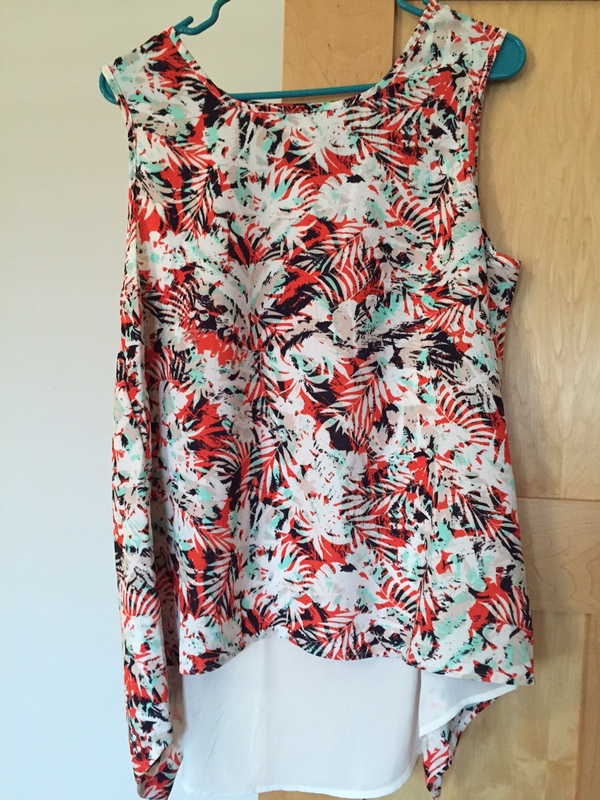 Thanks to Stitch Fix, I have several dressy sleeveless tops. I probably don’t need more, but the fit on this was good, the color is one that I don’t have much of in my wardrobe, and I could make this work. It was a possibility. 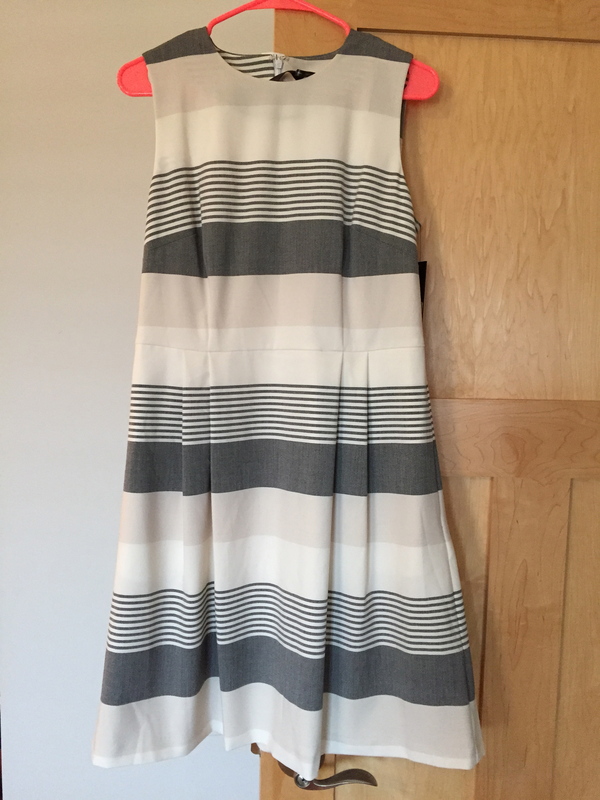 The back has a sheer panel, which is hard to see in the photo. The primary colors were mint and orange. When I tried it on, the part where the printed fabric met the sheer back panel bunched up on the sides, and it was not flattering. 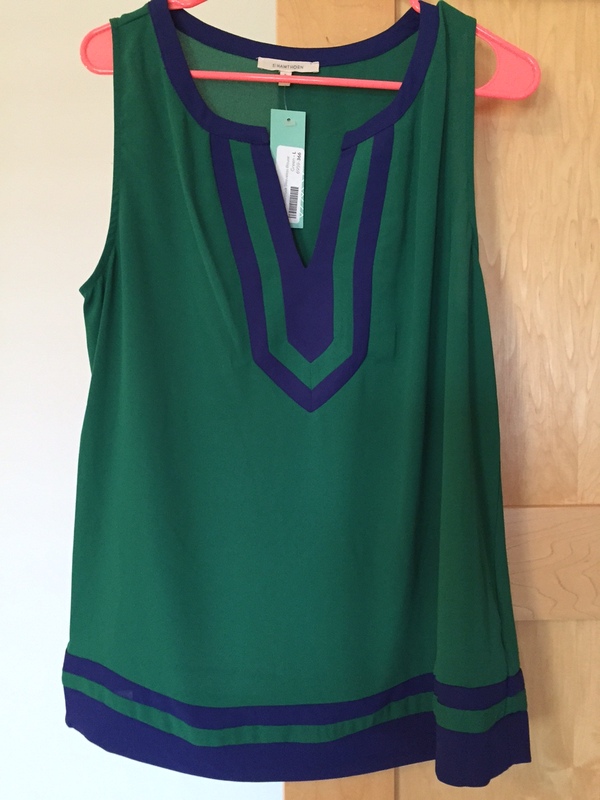 While I wasn’t crazy about the blouse, I thought it could be a sacrificial item for keeping the whole box (and getting the 25% keep-it-all discount). The problem with this is that there was a big chip out of the gold layer on the bottom oval. You can see it in the first picture. 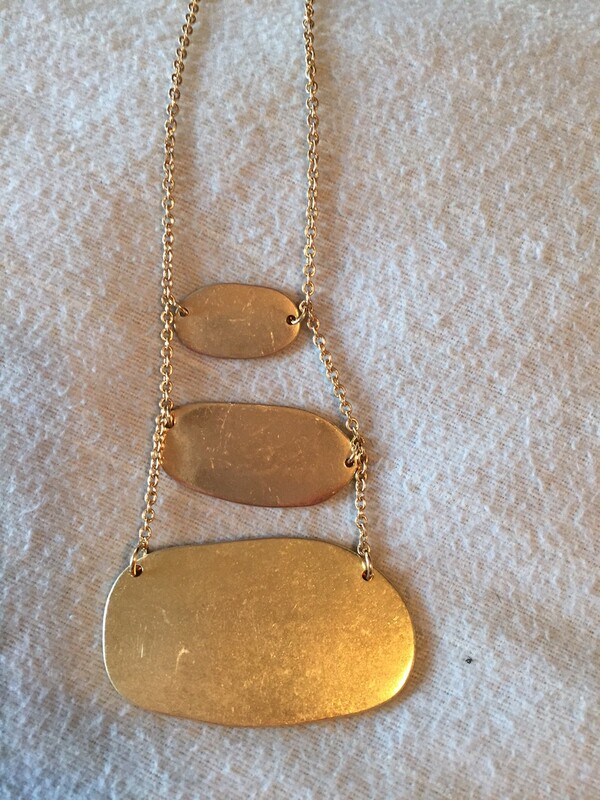 I flipped the necklace over to see if the back side could be displayed instead of the front. 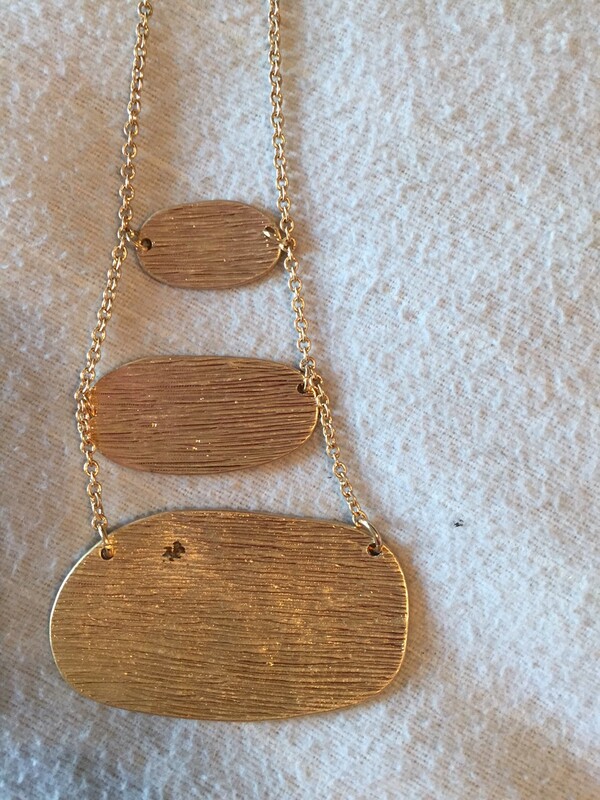 While I think it’d be possible, the necklace was really meant to show the textured side. Thus, a dilemma set in. The necklace was damaged, and I knew I had to send it back. Sending back even one thing automatically means losing out on the keep-it-all price break. Plus, once I made the decision to send something back, I started getting a lot more critical about the remaining pieces. The orange and mint blouse had to go. The green blouse suddenly didn’t seem special enough. Back it went. 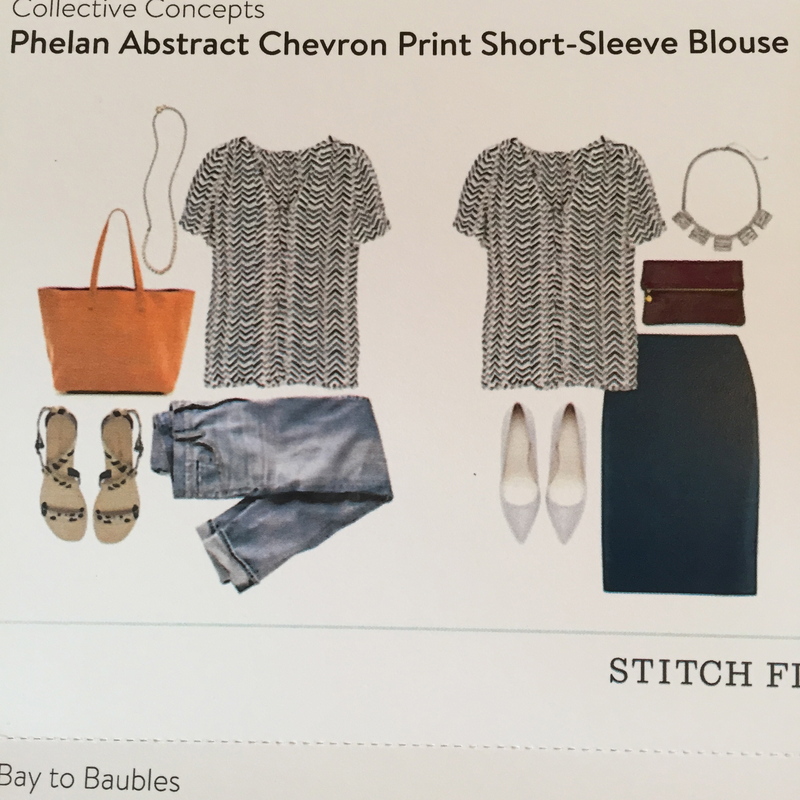 Here’s the next problem: I did the math on the remaining two items that I loved, the dress and the chevron blouse. The dress was $138 and the blouse was $68 = $206. Minus the $20 styling fee, this would be $186. The price for the buying the whole box – with the 25% discount – was $249. So, keeping the two items I really liked would only be $63 less than buying it all. 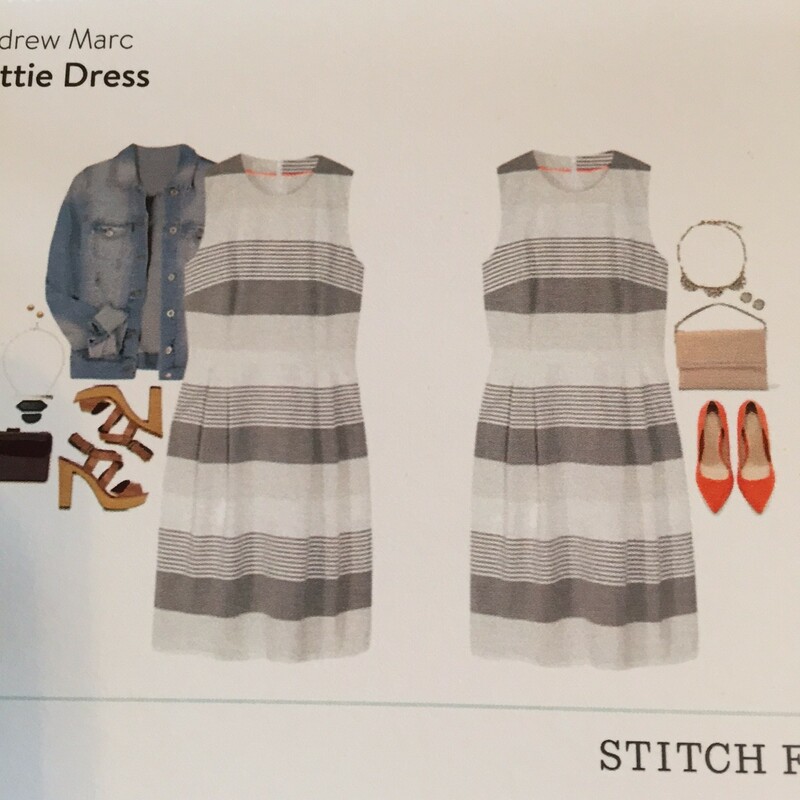 (To be fair, I also initially forgot about the $20 styling credit, so when I did the math the first time around, I thought that the difference would only have been $43 between keeping two and five items). Reluctantly, I sent the dress back. And of course, as soon as I did, I regretted it. Argh. I really liked that dress. 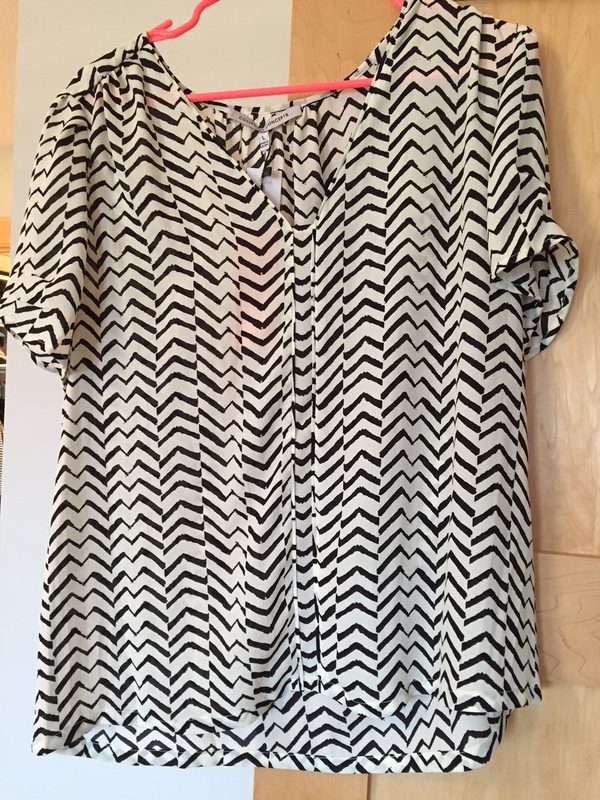 In the end, I only kept the chevron blouse, which was $68 – $20 styling credit = $48. I already wore it to work this week. While this wasn’t my most successful Fix, I think the picks were solid. The primary issue was the chipped necklace. If it hadn’t been damaged, I would have kept it all. I put a note in to my stylist that I’m going to Alaska in August, so we’ll see what the next Fix brings!